The Baltimore Mural Program was created in 1975 to make Baltimore neighborhoods more attractive, instill a sense of pride, provide employment for local artists in their own field, combat graffiti in neighborhoods, and engage young people in the beautification of their own communities. Working with the artists, neighborhood groups/associations and funding sources, the Baltimore Office of Promotion and The Arts (BOPA) coordinates and directs this ongoing program. The Baltimore Mural Program has produced more than 250 murals across the city, creating an outdoor public museum for the enjoyment of the people of Baltimore. We work with local mural artists who have experience working with communities. 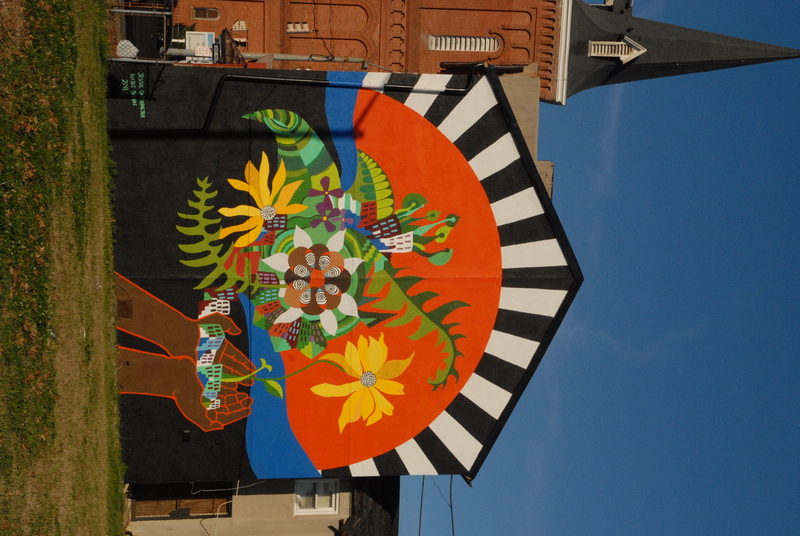 Call for Mural Artists Applications for the Baltimore Mural Program’s Mural Artist Registry are now open! 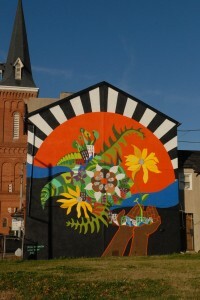 Our mural artist registry is used to select artists for upcoming mural commissions through the Baltimore Mural Program. The mural artist registry will also be made publicly available via BOPA’s website for outside groups seeking mural artists for independent contracts. Click here to apply. Deadline: February 13, 2015. Volunteer Opportunities Whether you have experience with painting or not- volunteering is a wonderful opportunity to work with community and mural artists. Please include availabilities with application, actual hours are set up between artist and volunteer. Volunteers are always needed, click here for application. Information for communities interested in hosting a mural. Planning and creating a mural in a community takes the work of many individuals. The Baltimore Mural Program coordinator will help with all the steps in the mural creation process outlined below. Get a feeling for your neighborhood’s interest in having a mural. Contact your neighborhood’s community association and get their approval. Look for possible locations for a mural. A mural wall should be in reasonably decent condition, highly visible to traffic, not blocked by trees, shrubs, buildings, or other structures. The average Baltimore mural is two to three stories tall and covers the side of a city row house. Once a potential site is found, contact the property owner and owners of neighboring properties to ensure their approval. Identify funding sources for the mural. Local businesses, the Baltimore Community Foundation, fundraising in the community are all possible sources. The Baltimore Mural Program does not have a mural funding. We also seek funding for individual murals. Once the design is selected, supplies are purchased and the artist begins the mural. The painting process can last from two weeks to two months, depending on the complexity of the design, the size of the wall and the weather. The completion of the mural often is celebrated with a dedication ceremony, which may include speeches and appearances by local dignitaries, community representatives, the artist(s) and local youths. The celebration provides an opportunity to acknowledge the work of the artist and the community and extend appreciation to the funding sources for their support. For further information, contact mvillegas@promotionandarts.org. I am new to Baltimore and would like to get to know the city while visiting all the murals. Is there a google maps links that shows all the locations for different murals?